One of the defining phenomena of the present times reshaping the world as we know it, is the worldwide accessibility to the internet. The lovechild of the World Wide Web is social media, which comes in many forms, including blogs, forums, business networks, photo-sharing platforms, social gaming, microblogs, chat apps, and last but not least social networks. The power of social networking is such that the number of worldwide users is expected to reach some 3.02 billion monthly active social media users by 2021, around a third of Earth’s entire population. An estimated 750 million of these users in 2022 are expected to be from China alone and approximately a third of a billion from India. The region with the highest penetration rate of social networks is North America, where around 70 percent of the population has at least one social account. As of 2017, 81 percent of the United States population had a social networking profile. Leading social networks usually boast a high number of user accounts or strong user engagement metrics. For example, Facebook is the first social network having surpassed the 1 billion monthly active user mark and as of the first quarter of 2017, has more than 2.2 billion MAU worldwide. Shortly after its launch, relative newcomer Pinterest was the fastest independent website in history to reach more than 10 million monthly unique visitors, but fell behind other players who emerged in recent years, such as photo-sharing social network Instagram or microblogging platform Tumblr. Despite the ubiquity of social networks, market potential is still increasing, as not only user figures but also user engagement continues to grow. On average, global internet users spend some 135 minutes per day surfing social networks. This prompts worldwide brands and their marketers to use that time and screen space to promote various products and services via social media marketing or social advertising. Recently, social networking has demonstrated a clear shift towards mobile platforms. 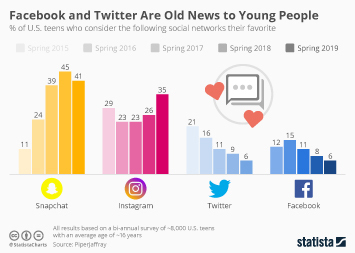 Smartphone and tablet apps as well as mobile web access have facilitated the constant presence of mobile-first or mobile-only platforms such as Twitter, Instagram, or Snapchat. In addition they have heightened the profile of location-based services like Foursquare and enabled users to comfortably access visual blogging sites including Tumblr and Pinterest via tablet. But the undeniable leader of mobile social networking is, once again, Facebook. As of the fourth quarter of 2016, over one billion Facebook users accessed the social network exclusively via mobile device.